"The Monkey King 2" is confirmed! 13 Feb – After much speculation, "The Monkey King" production company, Filmko has recently announced that there will be a sequel to the box office hit, and that Hong Kong actor Louis Koo will be joining the cast as the Venerable Monk Tang. According to MTime, Wan Haifeng, the Chairman of Filmko confirmed the news in a telephone interview recently, and even stated, "Louis Koo is here dining with me at the moment. He has confirmed to play Tang Sanzang." However, in regards to rumours that Chinese actor Huang Xiaoming will be playing the role of Zhu Bajie/Pigsy, Wang said that the casting has not been confirmed yet. Meanwhile, they are also in negotiations with Chow Yun-fat for his return as the Jade Emperor for the sequel. 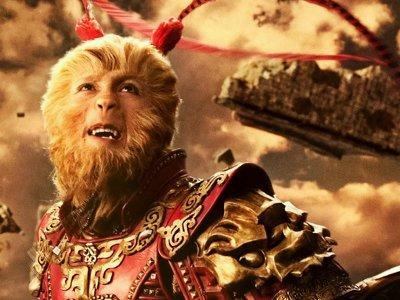 When asked if Donnie Yen will make his comeback as the Monkey King, Wang stated that they have yet to discuss the matter with Donnie as the actor is currently vacationing with his family. However, he assured that they will try their best to get the actor back to reprise his role as the mythical Sun Wukong. In related news, the movie has already surpassed the RMB 1 billion mark at the mainland box office.